The DBTools Workgroup Server is an application which allows sharing DBManager catalog information whithin a group of users. The server side, available only with DBManager Professional Enterprise Edition is responsible for serving catalog information. It is a TCP/IP service which allows for remote clients to connect to it and get information shared with other DBManager users in your network. Information like server connections parameters, queries, diagrams, reports, forms, database control version system, etc, can be easily viewed by other users in the same network. 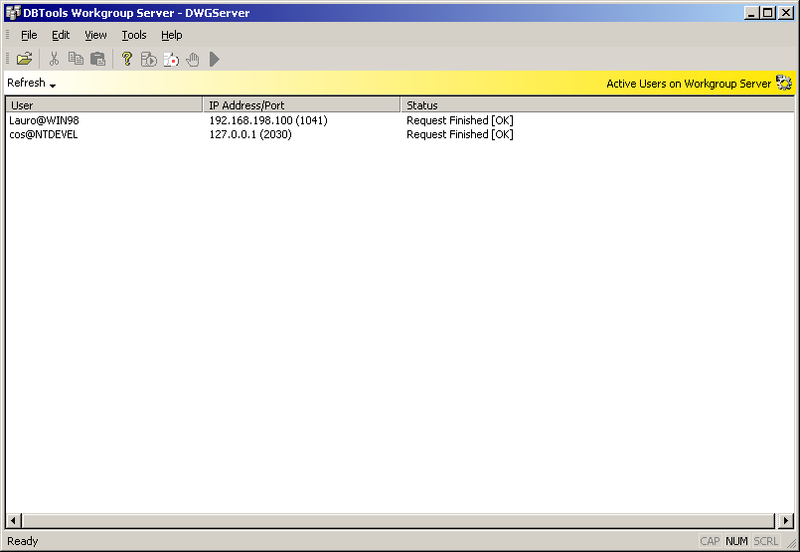 The server part can be configured to allow remote connections outside your network, using the Internet, for example. Who can connect to the Workgroup Server? In order to use the Workgroup Server in your network you need only one license of the DBTools Manager Enterprise Edition, as the WGServer is shipped with this edition. All DBManager Freeware Edition doesn't need special license to connect to the server.